Cushion Source offers a variety of shimmering, exotic fabrics for your custom silk drapes, including pure silk, silk dupioni and faux silk. 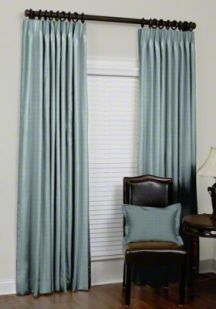 Select the drape style and fabric that fit your individual taste and watch your design dreams become a reality with custom silk drapes. 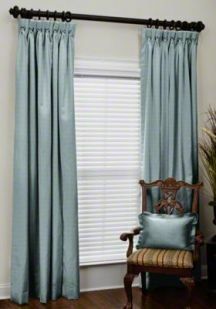 Silk fabrics, faux silks and silk dupionis are beautiful, elegant fabrics that work best on pleated and grommet drapery styles such as those shown. 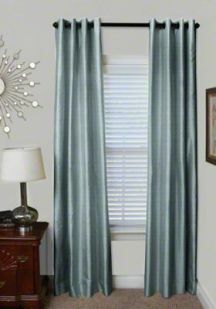 You may also order silk or faux silk fabrics on a different style, such as rod pocket, by ordering from our indoor drapes selection. A particularly popular fabric style for drapes, silk dupioni is hand-woven from a rougher fiber than traditional silk and holds intense and vibrant hues amazingly well. 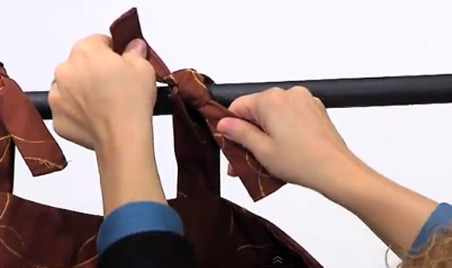 Intentional irregularities in the texture and weave make each one of these gorgeous silks unique. 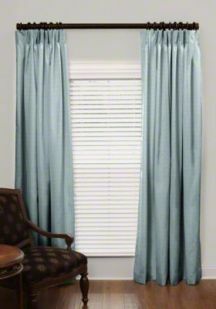 Silk dupioni is naturally wrinkle-resistant and lend crisp, clean lines to a window treatment while maintaining the fluidity inherent in the silk family.